The hand-painted posters for the first five films in the series are as iconic as the imagery in the films themselves, and we have artist Matthew Joseph Peak to thank for them. 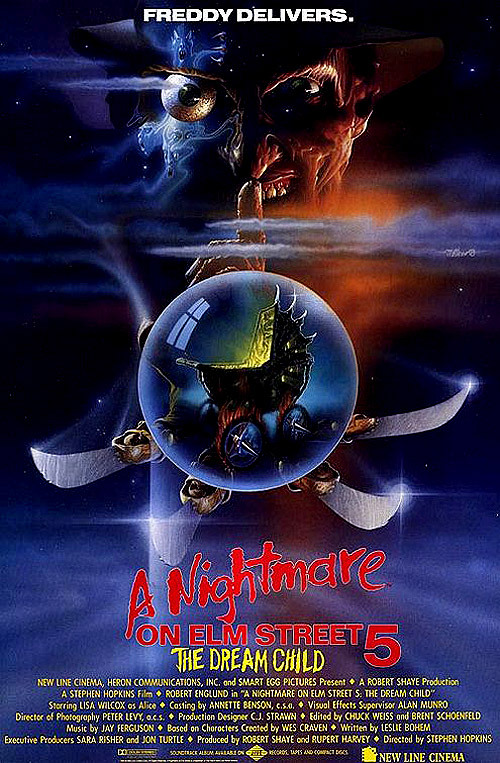 Fresh out of art school, Peak was hired to design the original A Nightmare on Elm Street poster for New Line, and after knocking it out of the park he subsequently stayed on board to create the posters for the first four sequels. 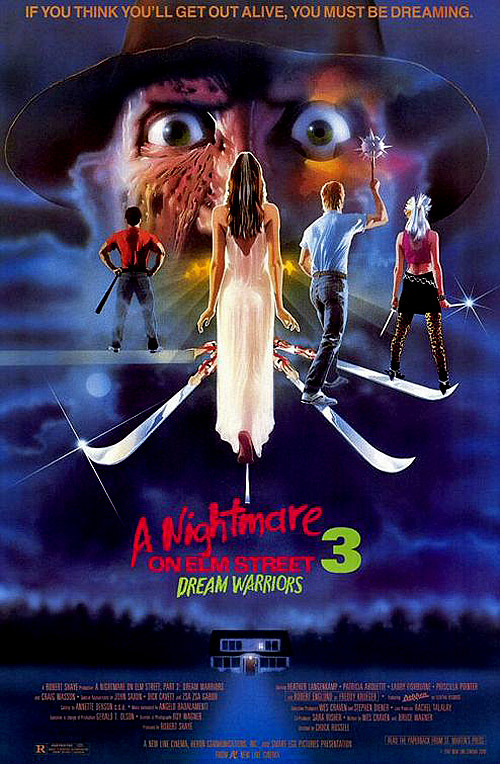 What’s interesting about Peak’s Elm Street posters is that it’s not until Dream Warriors that Freddy is physically depicted on them. 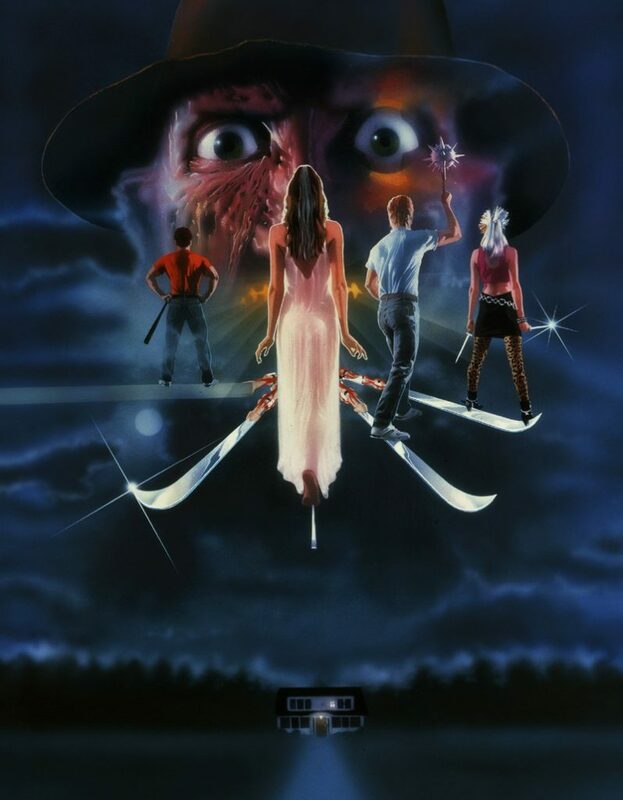 The more popular Freddy became, the more of him you saw on the posters; in the art for the original film and its sequel, Freddy is more of a rough concept. 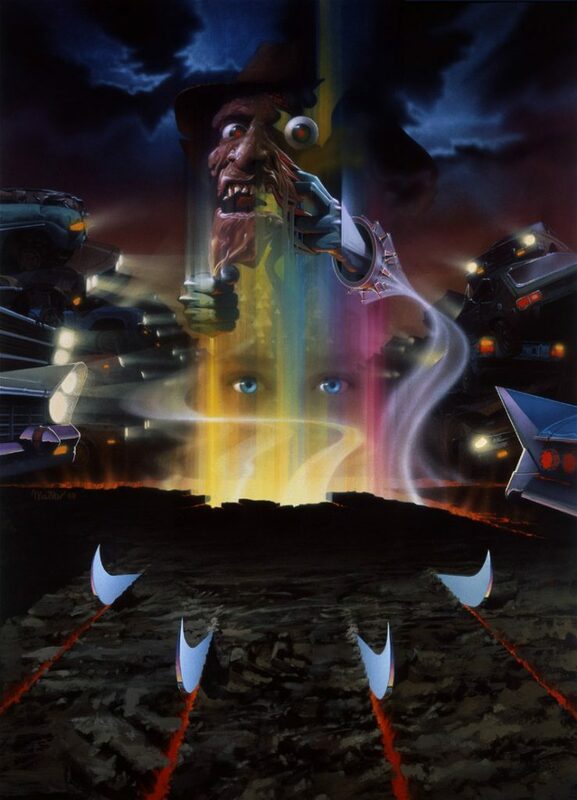 Like the films, the poster art was wildly creative, further setting the series apart from the pack. 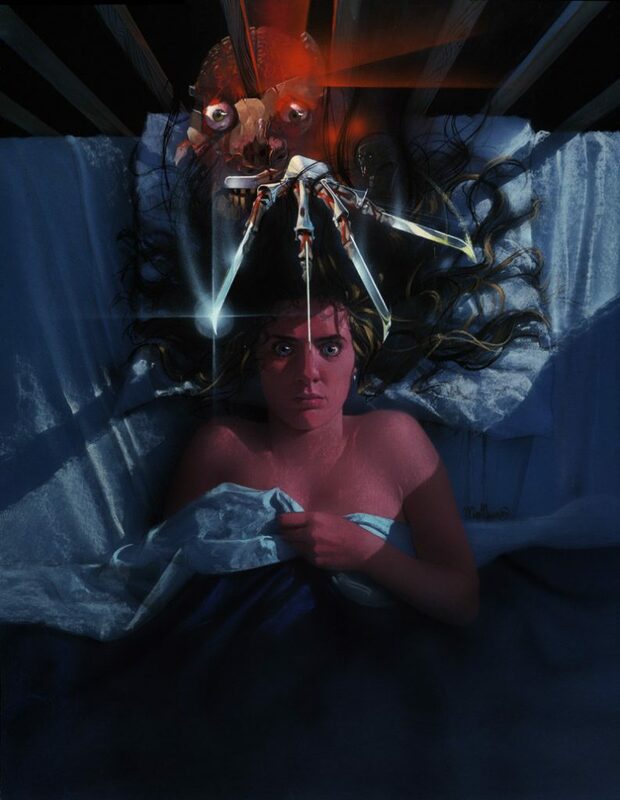 Above you’ll find Peak’s original Elm Street 1-5 paintings without any text or credits. 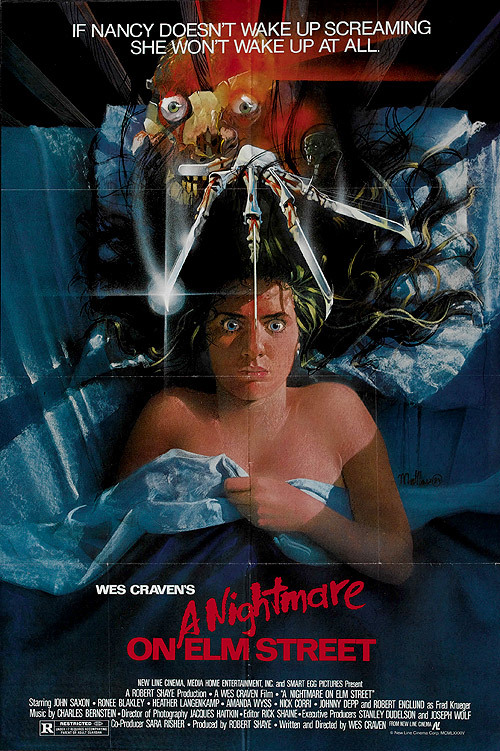 Peak did not design the poster for Freddy’s Dead, but he did do the art (last pic) for the soundtrack. 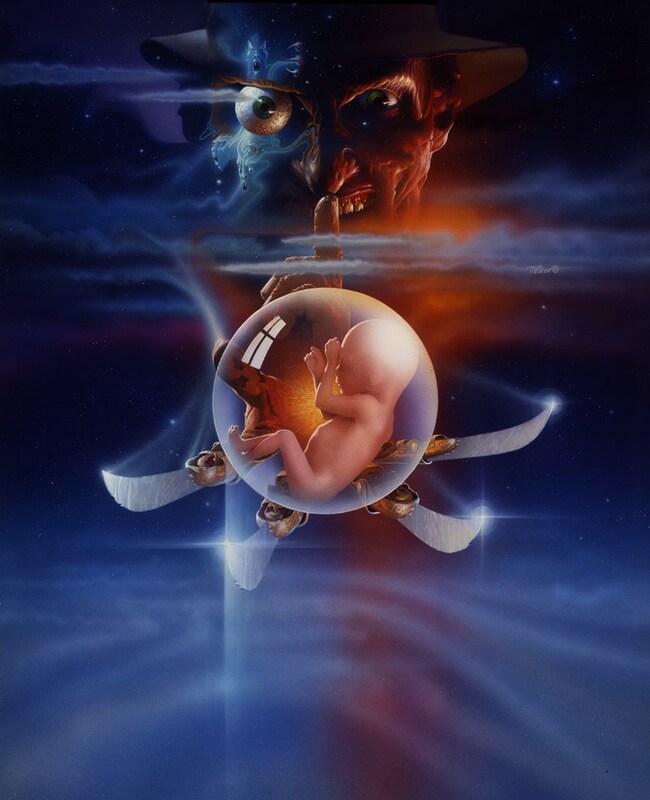 Also take note that the Dream Child art was originally a bit different; the baby was eventually replaced by a carriage.